was written for Swedish violinist Karin Hellqvist. Its fundament is a fragmented Swedish folk tune (polska) from Dalecarlia, the folklore region of Sweden where Karin was born and raised. Without having a background in folk music myself, I used it as a musical material, mixing the characteristic techniques and timbre of the polska with contemporary techniques and, for the electronic part, ring modulation. While she was dreaming was mainly written during dark winter days and nights while my daughter Ejla was asleep. The piece is dedicated to her. While she was dreaming is a piece for amplified violin and tape. It was written for Swedish violinist Karin Hellqvist in 2010-2012. Its fundament is a fragmented Swedish folk tune (polska) from Dalecarlia, the folklore region of Sweden where Karin was born and raised. In 2014 the piece was performed by Vlad Stankuleasa at Vårmusikfestivalen, Göteborg. 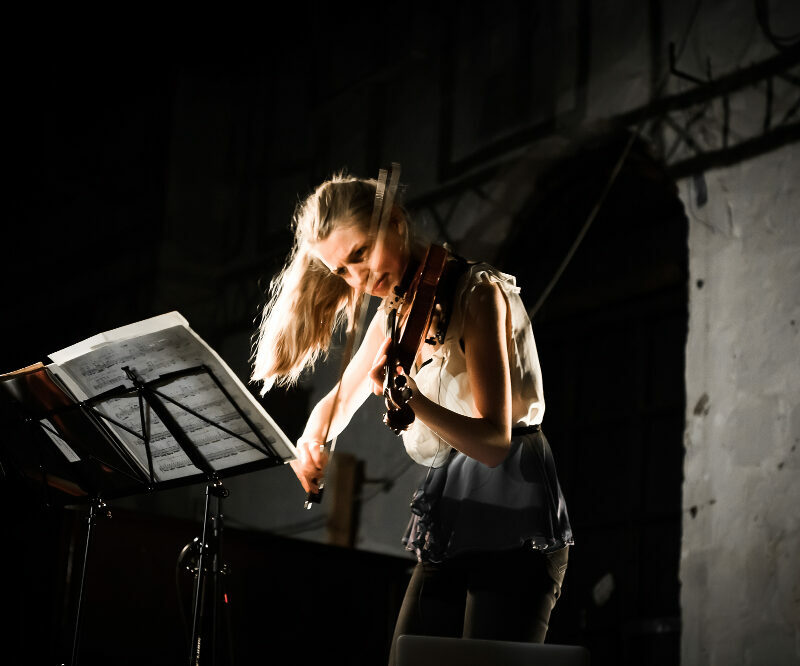 In 2018 the piece was performed by Frieda Mossop at the festival Svensk Musikvår, Stockholm and by Pauline Kim Harris at MATA festival, New York. Frieda Mossop, Royal Academy of Music, Stockholm, 2018. Video by Johan E Andersson.